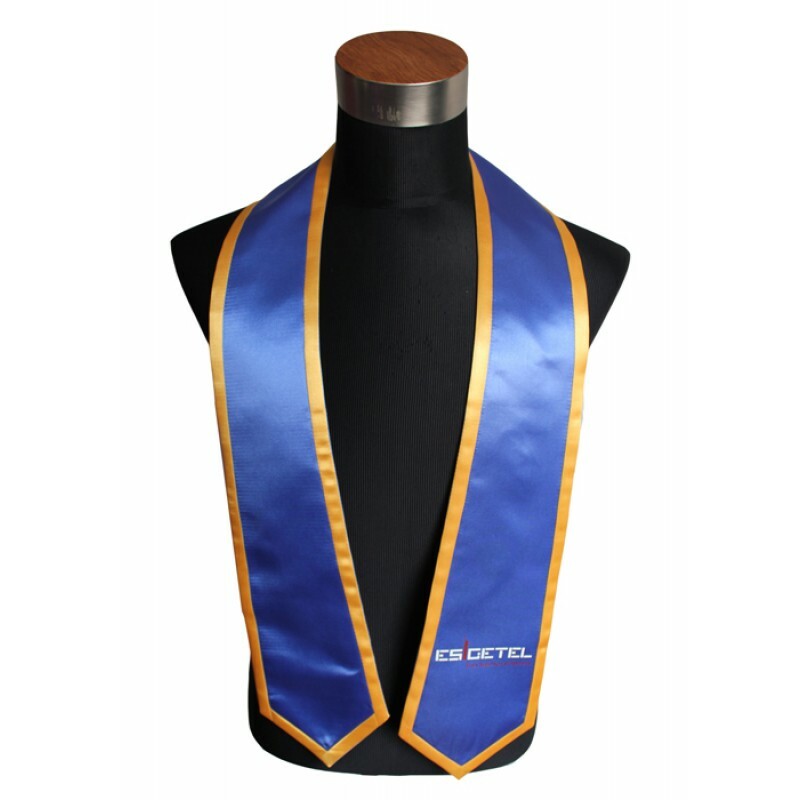 • Bottom Width 5.14", Top Width 4"
This pretty customized graduation stole is the best choice for your graduation day. 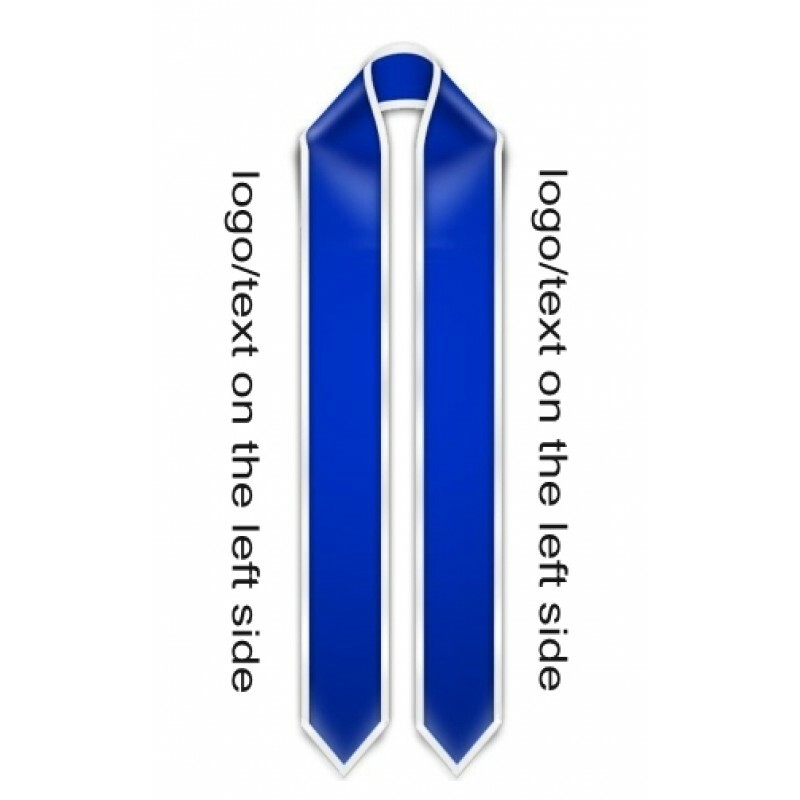 The unique text or logos of your own design will make you the most out-standing one on the important day. You can choose the colors of the stole, trim and the custom part. 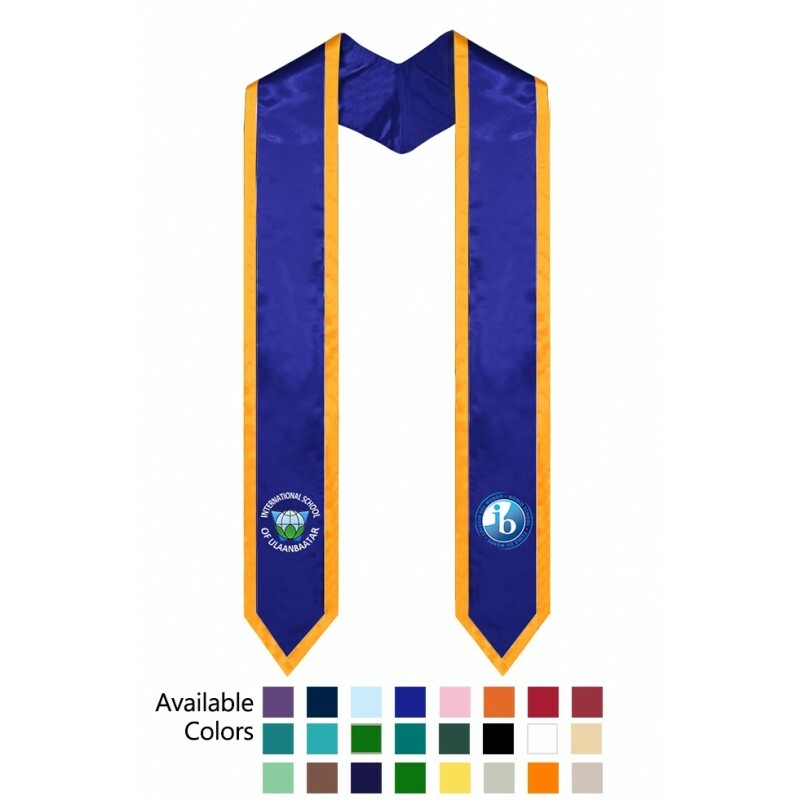 Also you can add the text or logos on the stole. 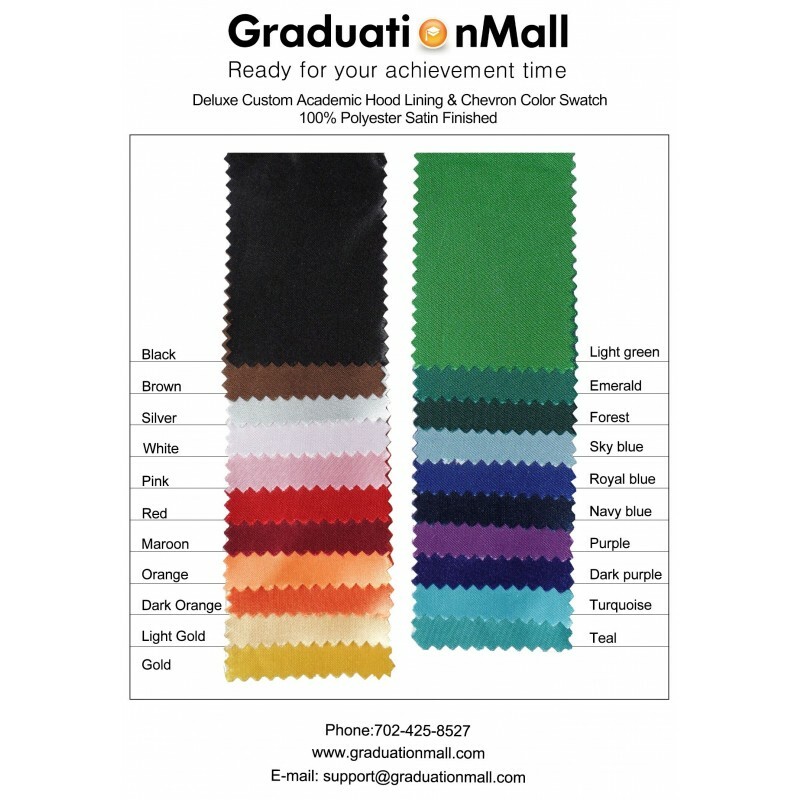 The high-quality and light-weight shiny satin fabric will make you feel comfortable since it will match different styles of graduation uniform. It also can be used with a choir robe for a professional look. 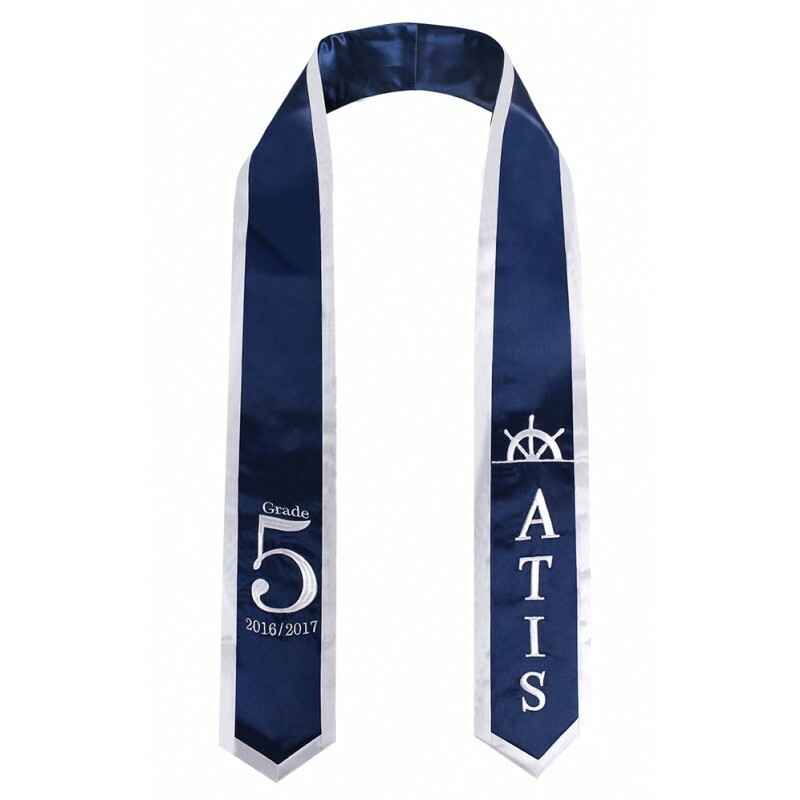 This will make a great souvenir to keep with after the graduation. We offer you with the most affordable price and you will save more money with more orders.